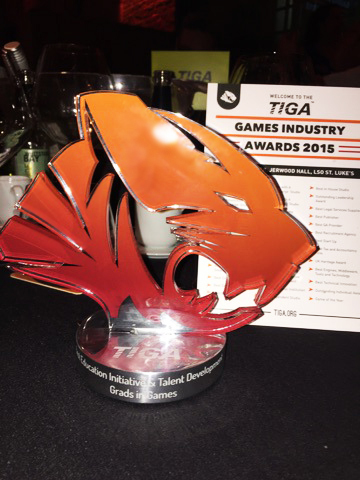 Grads In Games picks up a TIGA Award! The Grads In Games initiative has received a TIGA games industry award for our work improving the links between education & industry. Last night, at a prestigious ceremony featuring some of the biggest names in the UK games industry, we were presented with the TIGA Award for best Education Initiative & Talent Development for our work as Grads In Games. This is a proud achievement for the whole Grads In Games team, and a huge honour to have the work we do recognised by an industry body such as TIGA. It’s fantastic to be appreciated for all of the efforts the team put into running the national Get In The Game careers tour and Search For A Star graduate showcase competitions. The valuable support & direct involvement of our partners has been critical to the success of our activities, and we’d like to thank Microsoft, Autodesk, Playground Games, Boss Alien, Perforce & HackerRank for being partners of the initiative this year. 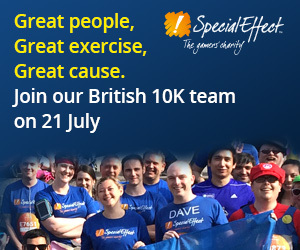 A massive thanks also goes out to Exient, Edge Case Games & Furious Bee for their ongoing support, and to Sumo Digital, Unity & Konami for their involvement in 2014/15. Code Club : Start your career from “Scratch” as a volunteer.